NcSTAR has introduced a PALs Modular Vest with PALs webbing sewn on the front and back panel for the ultimate in customizable tactical vest with PALs pouches/accessories. Constructed from tough PVC mesh webbing for maximum ventilation and durability. With three adjustable front buckles, side straps, and adjustable shoulder panels, the vest is adjustable to fit most body types. 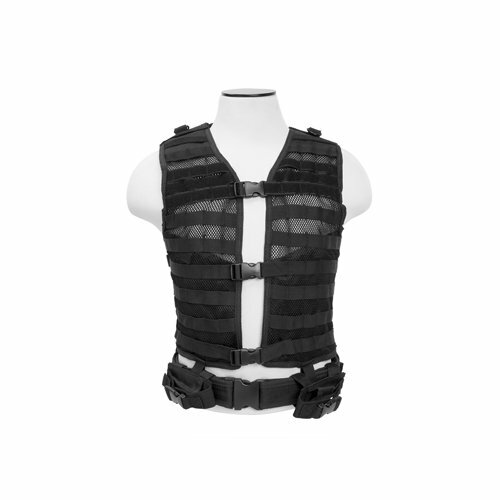 The PALs Modular Vest includes a heavy duty belt with two additional pistol magazine/utility pouches, reinforced drag handle strap, and the vest is also hydration system compatible (bladder not included). 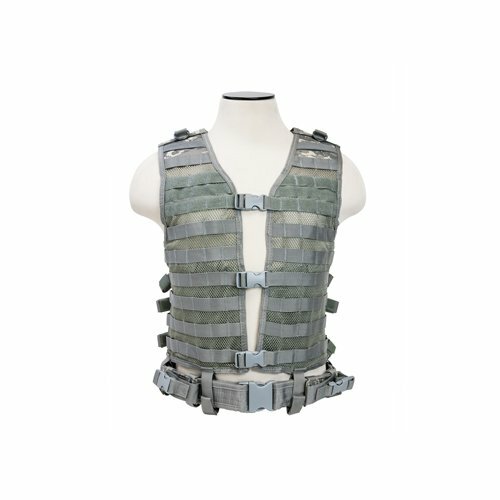 For the player looking for a modular vest for different playing scenarios, here is the modular vest you’ve always been looking for. You can attach your PALs (Molle) compatible pouches in any fashion on this PALs Modular Vest.